The subject of UFOs has become an item that people tend to follow more assiduously at present, as many find the notion that we are not alone in the universe very appealing. The following Argentinean case is proof positive of this. It all began when a man submitted a photograph to the Argentinean media taken from the 2 de Abril district in late January (2018) showing an unidentified flying object (UFO) in the sky. According to the Tiempo de San Juan web portal, the impressive image shows a construction site. So far so good. However, a grey object in the sky startled the family as it looked at the horizon at that very moment. 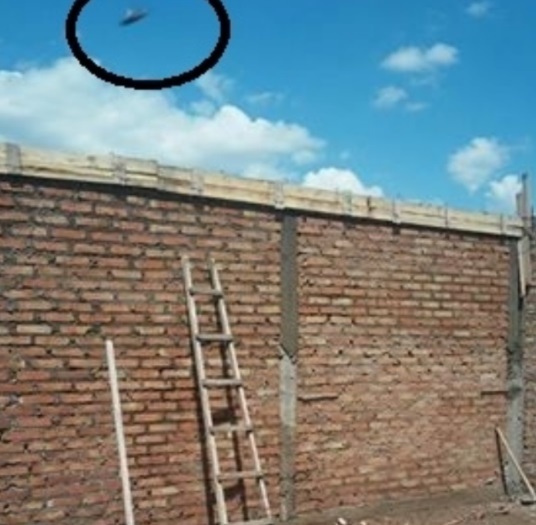 The Perú web site says the object was photographed in late January in the aforementioned neighborhood, showing a saucer-shaped object - a sample of how human beings are monitored by entities from other planets. In the final analysis, the witness - who chose to remain anonymous - said that the Espejo family did not see the strange object at first, but only until it was visible in the photo. It was at that time that they began wondering about the origin of the UFO - a matter they hope to solve in the future.